Some of the greatest caricaturists of the Georgian period came to Bath to create paintings and prints based on their observations of society at play in the Pump Room, Assembly Rooms and out and about in the city’s streets. 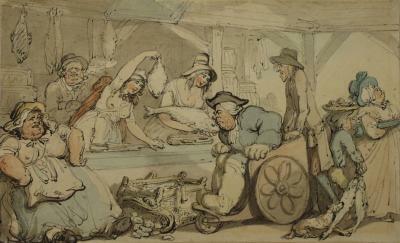 It is thought possible that Rowlandson came to Bath with his friend John Nixon (c.1750-1818), an amateur artist who sketched the characters he saw around the city. He observed people in the Pump Room and drew simple, gentle caricatures of well-known city figures like Morgan Nicholls, surgeon to Bath’s General Hospital. 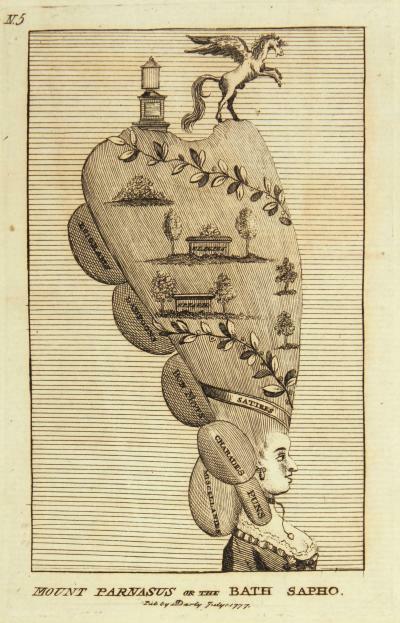 Matthew Darly (d.1781) was one of the earliest caricaturists. With his wife Mary he ran a highly successful business publishing and selling caricature prints. In 1778 he produced a print series, Bath Characters, lampooning the fashionable people of city. Thomas Rowlandson (1757-1827) was one of the foremost caricaturists of the Georgian period. In 1798 he produced a series of 12 prints The Comforts of Bath satirising the behaviour of rich visitors to Bath, and their favourite activities, such as sitting for a portrait, visiting the Baths and attending concerts. Most of James Gillray’s (1757-1815) work was related to London life and politics, but we have one print relating to Bath. Phillip Thicknesse was a well-known, notoriously unpleasant local resident, mercilessly caricatured by Gillray. 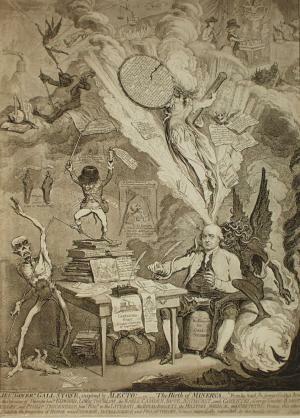 Possibly influenced by Goya’s famous etching "The Sleep of Reason Produces Monsters", it is a parody of the conventions of formal oil paintings, in which gentlemen are portrayed as learned and serious in their studies.